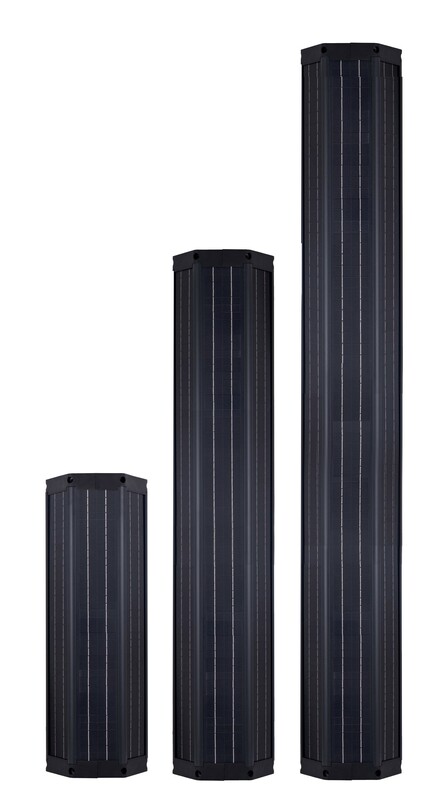 Cylinder Solar Module | Cylindrical Solar Panels | Cylindrical Solar Modules | solar Module | solar Panel | Solar Parking Lot Lighting | Solar warehouse Parking lot lighting | Solar LED Light for Residential and Commercial | Solar Airport Parking lot lighting. | Solar Parking Lot Lighting | Solar warehouse Parking lot lighting | Solar LED Light for Residential and Commercial | Solar Airport Parking lot lighting. 01. 360 Degree Full Day Charging. Available in C60W (60cm 60W) and C100W (100cm 100W), total power can be increased or decreased as required. Each modular is 18V, Many modules can be connected in parallel to get higher power. The force surface is reduced by more than 60% compared with the traditional solar panel. Each module and the pole are fixed by 12 screws, which can resist the 12-level typhoon. 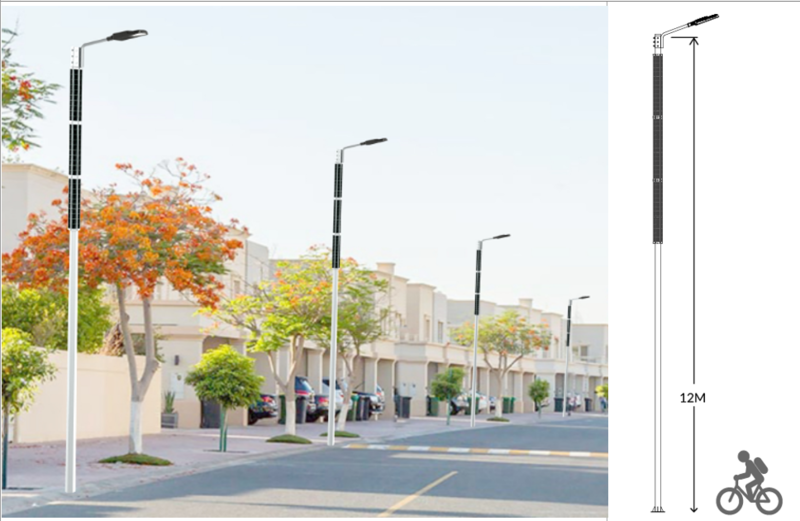 It can be mounted on any shaped poles as long as the diameter is less than 16cm, either cylindrical or polygonal. The installation is flexible, robust and fast. Since the solar panels are installed vertically, the snow does not accumulate on the snow when it is snowing, ensuring that the lithium battery can be charged normally during the bad weather. 06. Easy to clearn, No need lift truck. Monocrystalline silicon cells are adopted , power generating efficiency is up to 21.8% which is much higher than using thin film flexible solar panel. 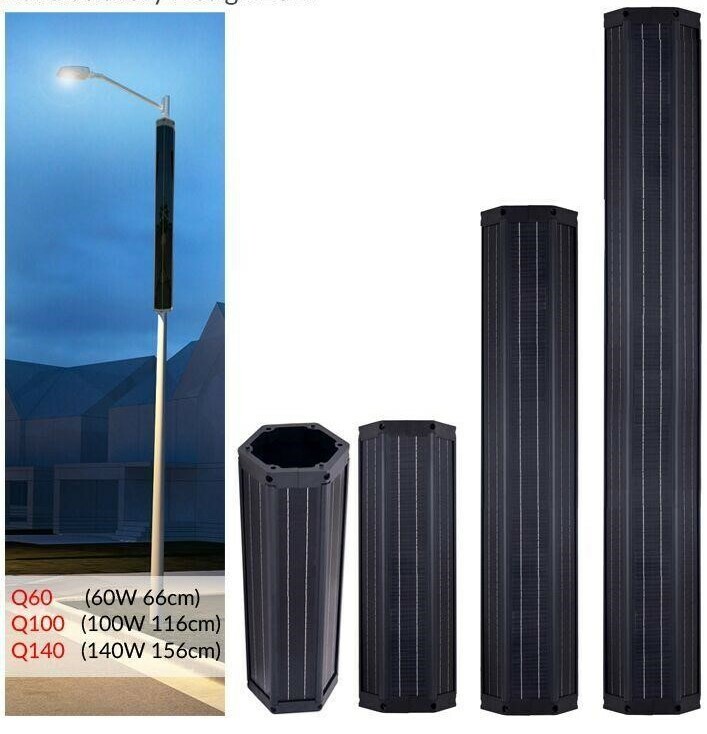 With a slim solar tube on the pole, it has much better looking than using traditional solar panel. This design blends street lights with city very well and makes city more beautiful. 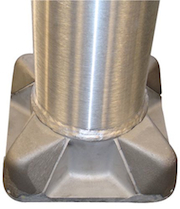 It can be easily mounted on any different poles such as conical, cylindrical, polygonal, etc. ( Diameter should be within 165mm). 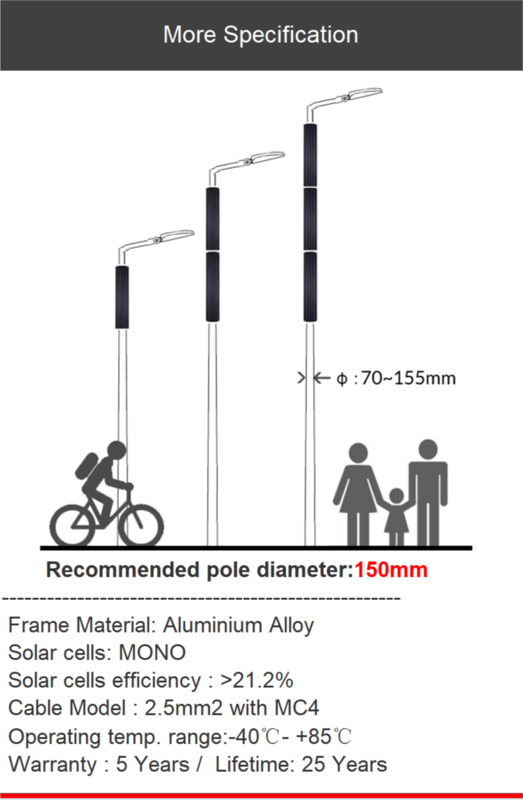 You can buy cylindrical solar modular separately and use them on existing poles. We can also provide solar panels, poles and solar lamps etc as a complete system. 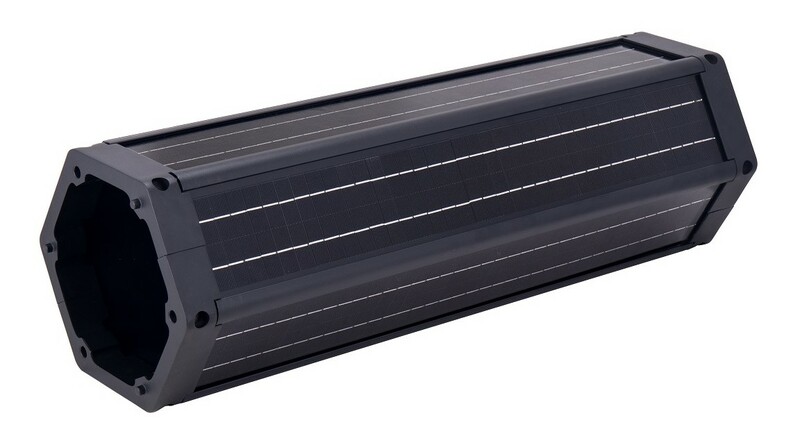 (Cylinder) Cylindrical solar Modules are a great innovation, 6 slim solar panels are fixed on a hexagonal cylinder aluminum frame. It has a much stronger performance in wind resistant. and it makes the complete solar pole more beautiful than regular solar panel. Aurora by OkSolar.com cylinder solar panel is a modular panel which can meet different power as requested.